making it almost instantly controllable from your Android or iPhone.. The KlikR next app was designed to put experience first. Combining stunning graphics with flat design, our Android and iOS apps will revolutionise your experience. The KlikR mobile application - Klikrnext - allows you to organize all of your devices in your home, room by room. Using the app, you can then navigate through your remote controls in each room by swiping or by selecting from a horizontal list. If you want your family or friends to use KlikR, there's no need for them to set it up again. Simply share your setup with a QR code from the application's home screen. Furthermore, all your setup and devices are backed up on the cloud in case you lose or change your phone. 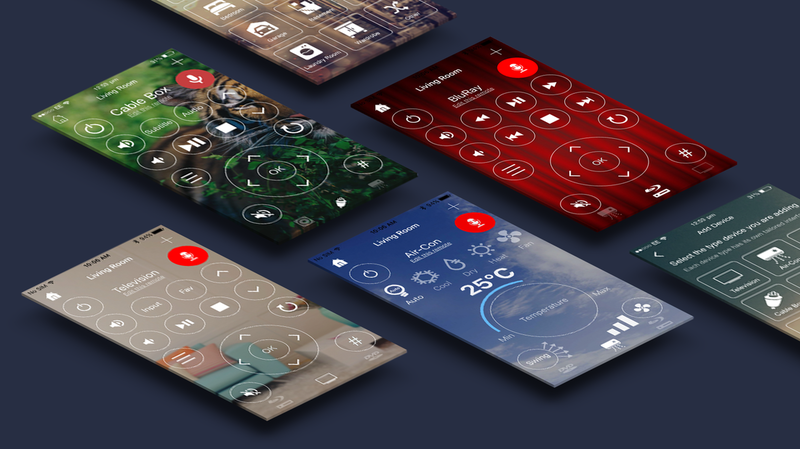 Finally, KlikR is more than a universal remote. 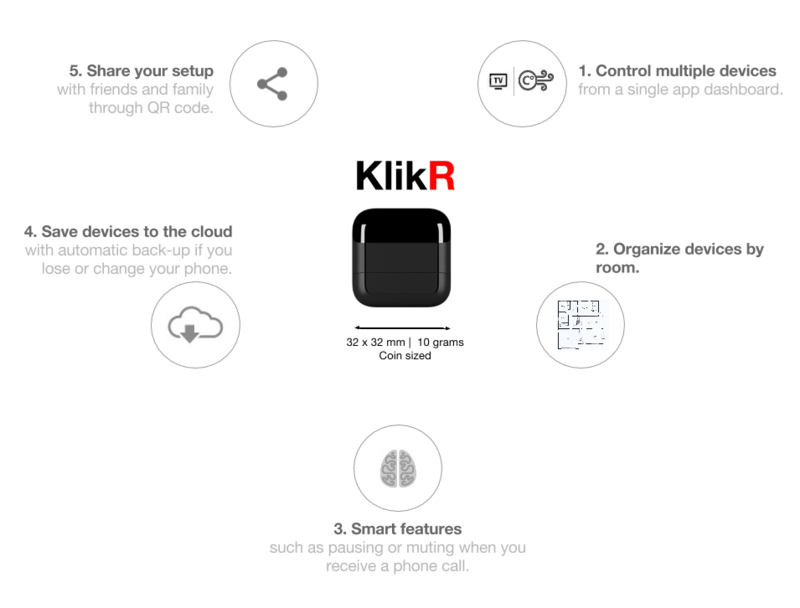 KlikR comes equipped with voice control so you can give commands directly to your smartphone. For example you can instruct the app to "Turn on the TV" or "Change the channel". KlikR also has optional smart pausing and muting in case you get a phone call while you are watching a movie. Copyright © 2015 Fillony Limited. All rights reserved.